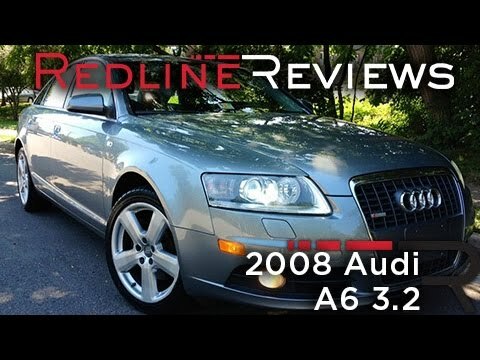 If you're in the market for a premium sedan whose road manners are as smart as its styling and price, the 2008 Audi A6 should be on your list. Those who live in foul-weather regions will appreciate the impressive capabilities afforded by the A6's quattro all-wheel drive. Beautiful black Audi a6 with gorgeous leather interior. Great acceleration and breaks, drives very smoothly. Gas mileage also incredible, especially if tire pressure is well maintained. Has nice heated seats and beautiful leather interior. Experiencing some leakage and higher oil consumption due to age, but runs smoothly. Very minor deterioration of mechanisms, i.e. Door no longer locks. Love my car a lot she runs very well and has kept me so safe. My car is awesome I love it so much. My car is great. When I bought it I was so happy! I have never really had any real issues with the car, although a few minor scratches. I bought it around 3 years ago. I cannot wait to bring it in for a newer model. Although this car is awesome I do like the newer models better and also a lot of newer technology is out in the newer models as well. 4. 2 v8 all wheel drive. Power everything. Leather interior. The 2008 Audi a6 is a sport luxury that is very stylish plus giving you the power when needed for a affordable price. Power everything heated seats heated mirrors Bluetooth mp3 GPS you name it this car has it. The motor is a 4. 2 v8 giving you plenty of power when needed.